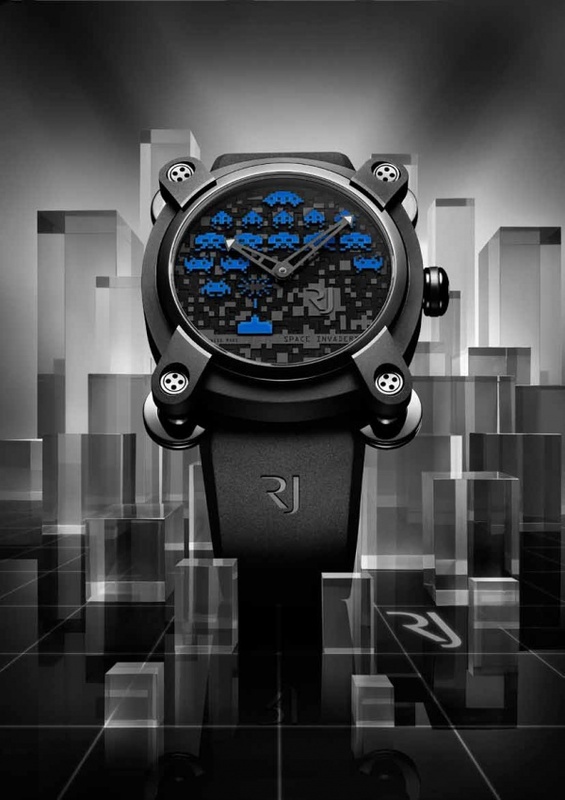 RJ-Romain-Jerome is an exciting watchmaker. 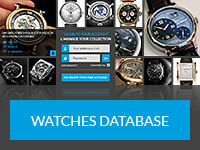 Rather than sticking to classic style religiously, producing ranges of diving watches and classic pieces for everyday wear, or creating detailed statement pieces, they instead lend their talents to subcultures. It’s a bold move: people who follow steampunk and the like aren’t noted for being particularly wealthy, nor are they especially large groups (it’s why they’re called subcultures, after all). Rather, Romain Jerome seems to have decided that they will accommodate people who influence the broader culture at large. 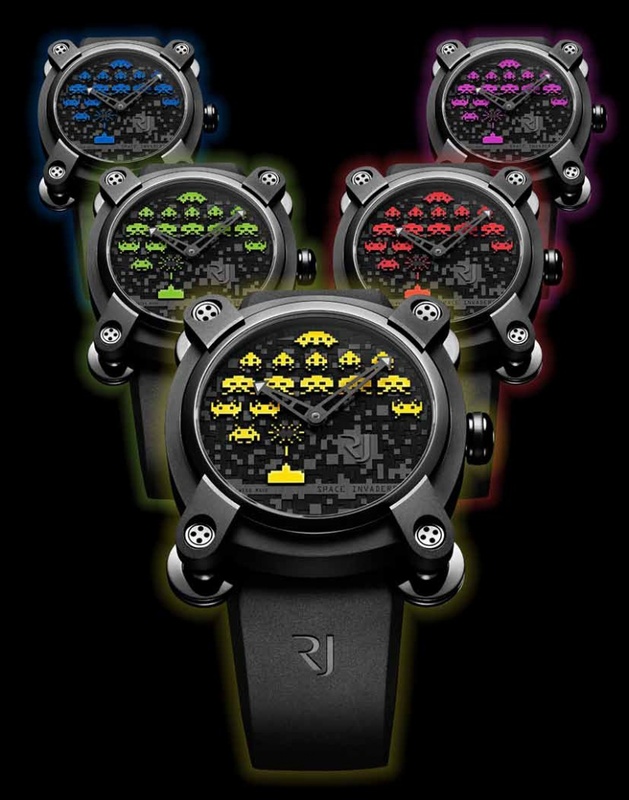 In the past, Romain Jerome has made watches based on design aesthetics drawn from young men’s fantasies. They’ve built the steampunk Skylab, with massively over-exposed mechanisms to grab the attention of geeks who love steam and cogs; the Orbiter, which is shaped like a simple digital watch but offers two faces, one of which looks like a mechanical parasite; the unpronounceable Eyjafjallajökull, which – perhaps controversially – draws its inspiration from the Icelandic volcano that ruined international air travel for months in 2010. This is a brand that likes to take its inspiration from famous events and movements, but conspicuously events and movements that may not always have been popular. It might be a little surprising, then, that their latest release is based on something that – while it was once entirely unfashionable – is now really quite quite de rigueur. This is the Space Invaders 40, which draws heavily on early-80s arcade gaming. It’s the sort of idea you might expect from a novelty manufacturer – perhaps the motivation behind a cheap digital watch you get from an expensive Christmas cracker. Romain Jerome, however, have made sure that it’s more than a novelty with a careful blend of good design and a kitschy, retro aesthetic matched with sensibility. 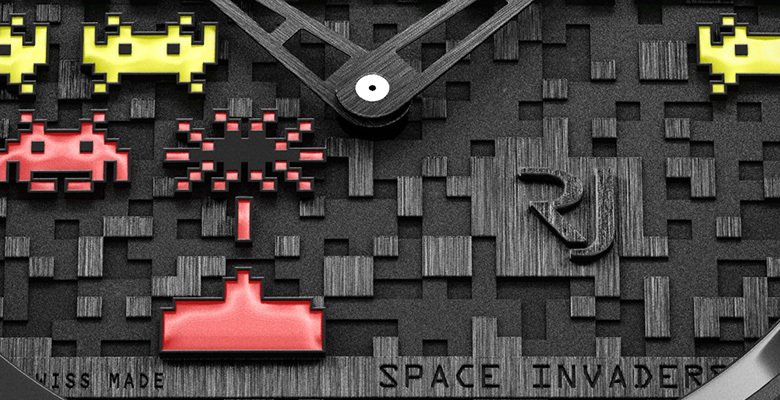 It would be incredibly easy to dismiss the watch as a gimmick – it literally has space invaders on the dial. 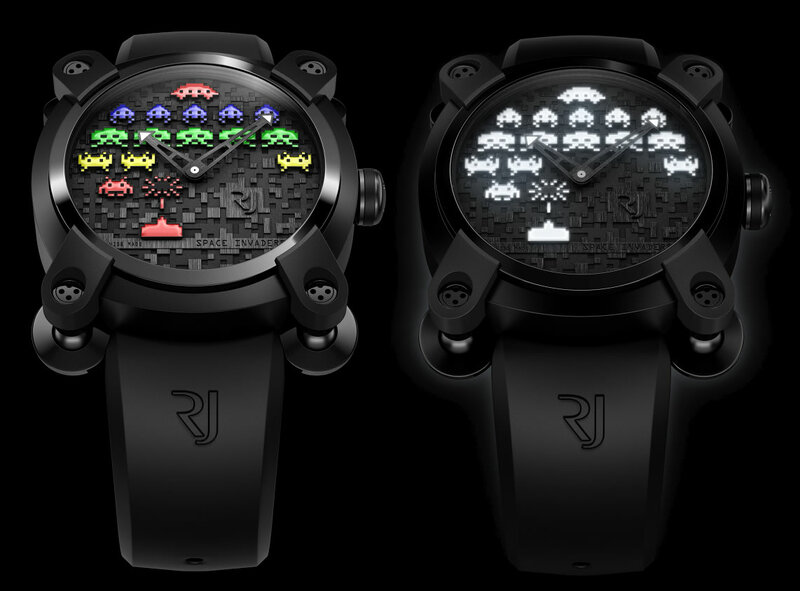 But this would do Romain Jerome a disservice: where a novelty item would simply stamp the graphics onto a plastic sheet by the thousands, these have been machined individually, lacquered by hand, giving it an exceptional finish against the subtly textured surface that offers more depth than the original arcade screen. My favourite detail, incidentally, isn’t even the face – it’s the ball-and-socket joints at each corner. These call to mind an early SNES controller, so it’s like you’re wearing a piece of classic gaming tech on your wrist, even if the device itself doesn’t let you play the game. This is enhanced by the simple colour scheme that adds just enough depth to maintain interest, while preserving the classic simplicity of 8-bit graphics. This is truly a watch for the classic geek, and maybe not something to wear to a black-tie ball. Trivia point: Space Invaders was never originally programmed to speed up as you killed the space invaders. Rather, the processor used in the machine at the time was so primitive that simply killing some of the invaders allowed it to make more calculations per second per invader, making the whole system speed up. You made it harder for yourself.